Many car owners stuck with owning a hurricane-damaged vehicle find themselves with only one option: sell. Buyers beware however since all hurricane-damaged cars are more susceptible to major component failures. As a result of shady car salesman, as opposed to reliable dealerships, many states have laws that expressly forbid anyone from selling a hurricane-damaged car (many states passed these laws in 2005 after hurricane Katrina). However, just because a law is passed, it does not mean that cars are not sold. The first few months after a major hurricane has passed are usually the most challenging time to purchase a vehicle since auto records companies like Carfax and AutoCheck usually haven’t updated their records to indicate if a car is hurricane damaged or not. 1. Was the car likely in a hurricane’s path? If you live in an area that recently survived a hurricane, you need to be especially cautious buying any used car. If you live outside of a hurricane area, you need to look for clues: Does the car have a badge or sticker from the original dealership somewhere? If so, is that dealership in a hurricane area? Also check the glove box for any paperwork that might show you were the car used to be. 2. Is the deal “too good to be true?” Remember the old catchphrase: “If it sounds too good to be true, it usually is.” If the deal is simply too good – like a used car with an asking price thousands lower than similar cars – you must assume there’s something you don’t know. Flood damage doesn’t always have to be disclosed by the selling dealership, and if you’re buying from a smaller dealer or a private individual, you might as well throw the rules away…there’s a good chance they don’t follow them. Beware severely under-priced vehicles. 3. Follow your nose. Cars with flood damage – or water damage of any kind – often smell fishy and/or moldy. If you smell even a hint of mold, it’s wise to get the car checked out. The only exception here is if the car’s air conditioning system smells like mold – that is fairly normal and likely isn’t flood damage. When you sniff around, open up and smell the carpet in the trunk, under the seats, and if you can, pull up some of the lose carpet under the dash and smell there too. It might not be fun, but five minutes of sniffing around could prevent you from making a major mistake. What’s wrong with a flood-damaged car? Flood-damaged cars are more likely to rust, more likely to have major mechanical problems and more likely to have their warranty voided by the manufacturer. Therefore, they should be avoided at all costs. 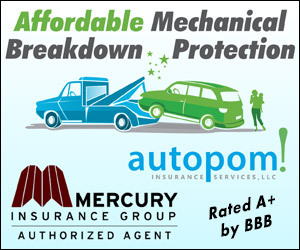 If you find a car that you fear may have damage, either get it checked out by a mechanic or move on to another vehicle. Good luck. Author Jason Lancaster is a former used car manager who writes for Olathe Toyota Parts and Accessories, which sells cheap genuine Toyota Parts online.